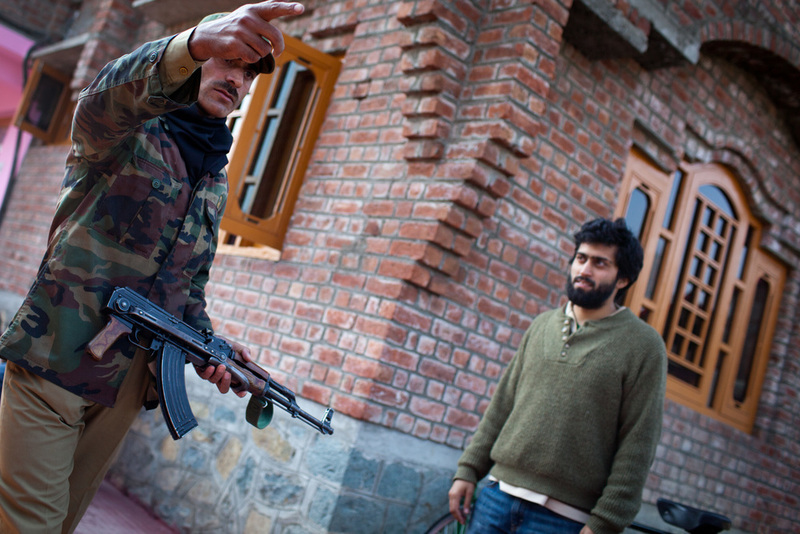 Musa rehearses with a soldier before shooting a curfew scene. To get the best sound, Nick had to clear up the hair that would bristle against Gulzar's clip-on microphone. In the middle of the lake, it can be hard to find shade. We drew on our previous documentary experience to shoot during live events, like this vegetable market. Almost everywhere we shot, large crowds would gather. Altaf was great at keeping onlookers under control. A military curfew lasted the whole of production, with only a few off days for us to get out and about. 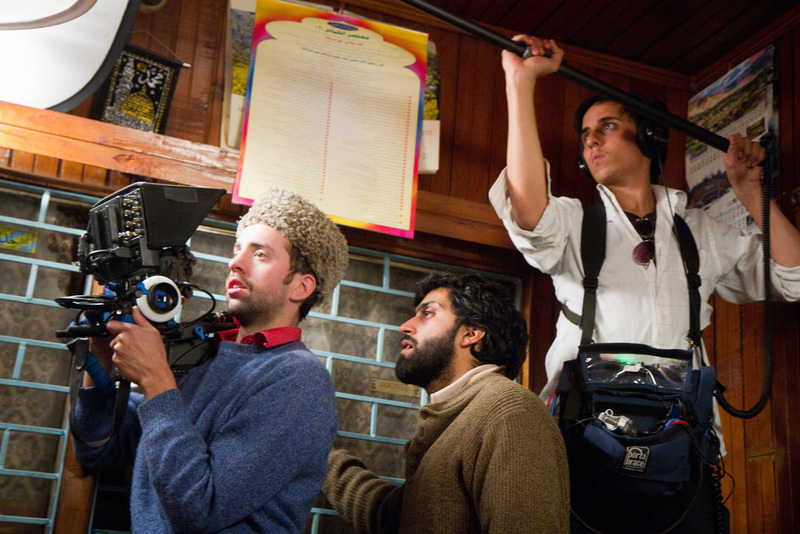 Musa holds on to Yoni for a roof shoot. During a shoot in a graveyard, a group of kids threw stones at us, mimicking the protesters on the streets. After Gulzar was hit, we rushed him to a doctor. He only had a minor injury and he recovered quickly. The communities of Dal Lake came out to help us in every way--from providing crew, actors, transport and food. 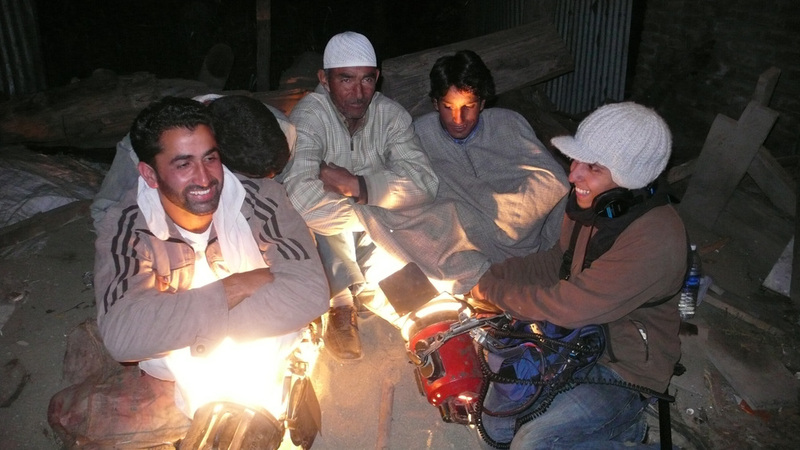 On a cold night shoot, our friends used the production lights as 'kangris' the traditional Kashmiri firepot. With a curfew on our hands, we kept our crew small and our equipment light. ...but Yoni broke his toe during a shoot. He pushed through for the last couple weeks of production.